St George's Church, Leicester, in Rutland Street was built in 1823-1827 (William Parsons) and the chancel added in 1879 by Sir A. Blomfield. The church suffered a disastrous fire in 1911 and was rebuilt by W. D. Caroe. It is built in the English Perpendicular style with a west tower. 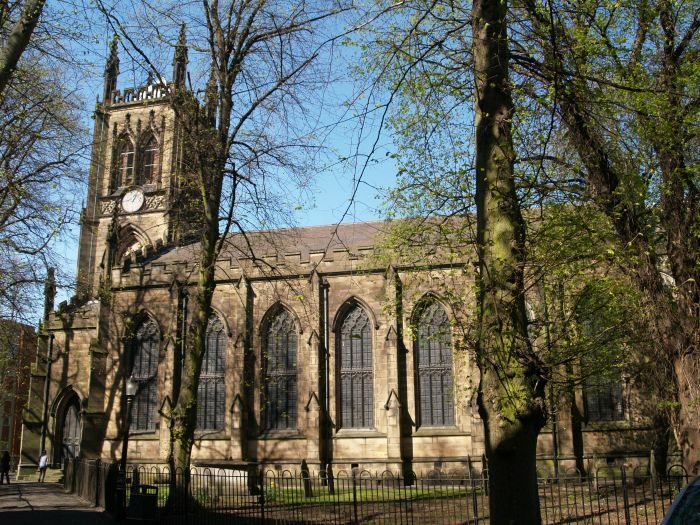 It is large and solidly built and the first church to be built in Leicester after the reformation. 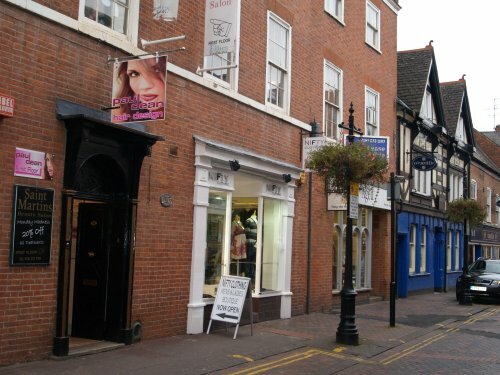 It is now used as a Serbian Orthodox (Orthodox) Church in this quiet 'secluded' area in the middle of busy Leicester. 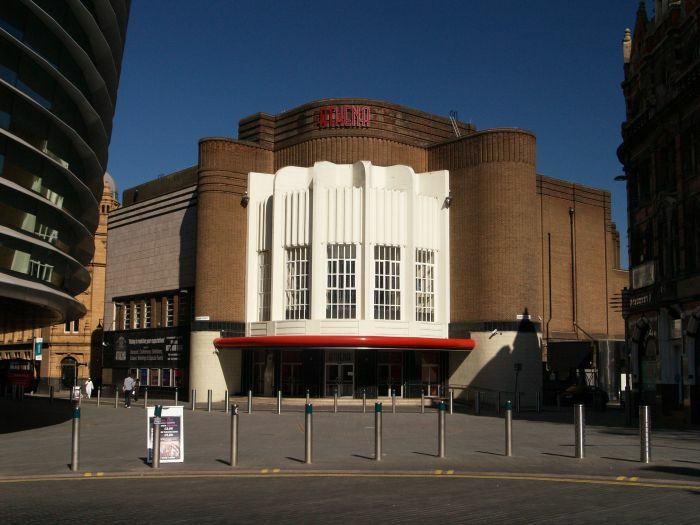 The Athena, Leicester, in Queen Street, was originally built as the Odeon Cinema in 1936 to a 'Streamline Moderne'/'art deco' design by Robert Arthur Bullivent. 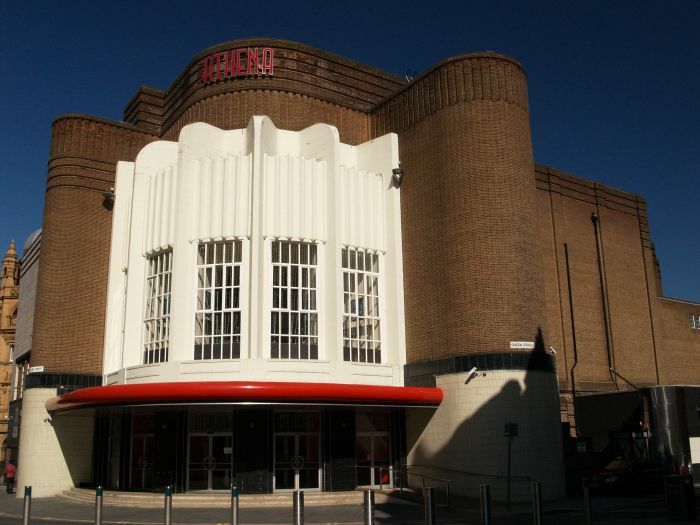 It is now a venue for weddings, dinners and conference centre etc. Alexandra House, Leicester, was built in 1833/1895? at the corner of Rutland Street and Southampton Street to a design by the architect Edward Burgess. It was originally a bootlace warehouse of Faire Brothers. 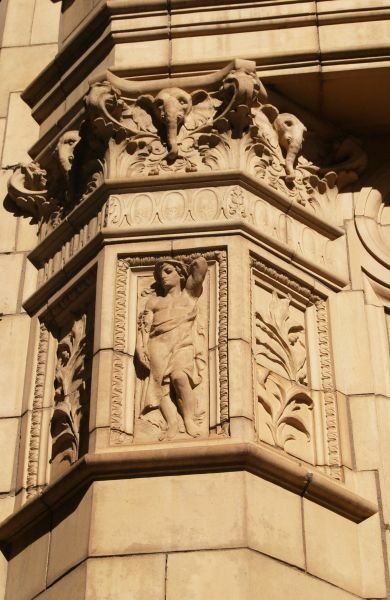 This stone building is decorated with fine terracotta work of figures and foliage. 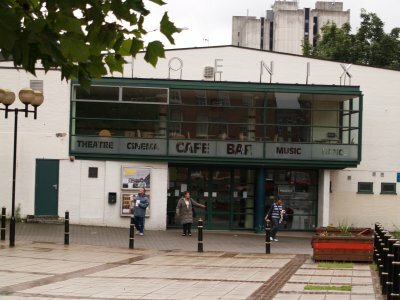 In Phoenix Square, Leicester, near Upper Brown Street, is the relatively new Phoenix Cafe, Gallery, Theatre, Cinema, 'Music Venue' and Bar is not too far from the medieval Guildhall representing somewhat different contrasting black and white styles of architecture! 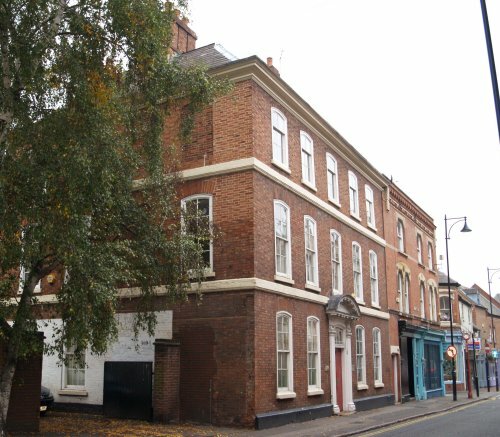 10 Loseby Lane in East St Martin, Leicester, once a house but now part of the commercial side of East St Martins. The 'old' doorways of 10 Loseby Lane and 21 St Martin's, two houses in East St Martin. Number 21 St Martins was an eighteenth century urban gentleman's house, what splendid accommodation it must have been when in residence! The Old Grammar School and a pub! 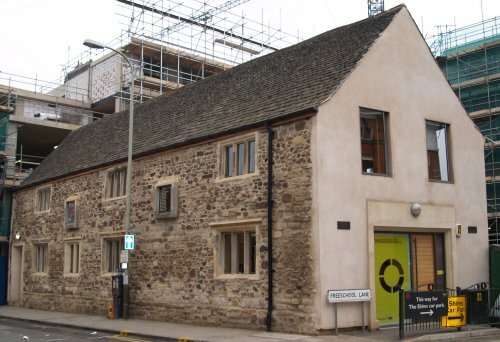 The Free Grammar School (an educational establishment founded in 1573) building was, as the plaque on it reads, 'built using materials salvaged from the medieval church of St Peter and has been restored to preserved its historic fabric by Hammerson in 2006'. 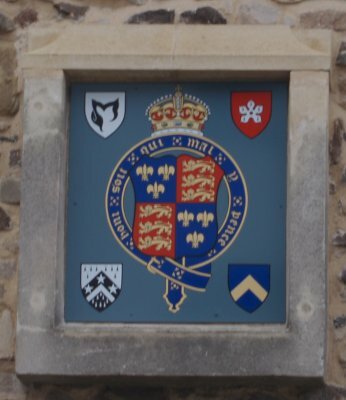 The Coat of Arms on the front wall of the Free Grammar School of 1573. Across the road from the Free Grammar School is the Richard III pub, well, a lesson for us all from 1485, but the workmen engaged on the big town centre development project don't seem too worried! 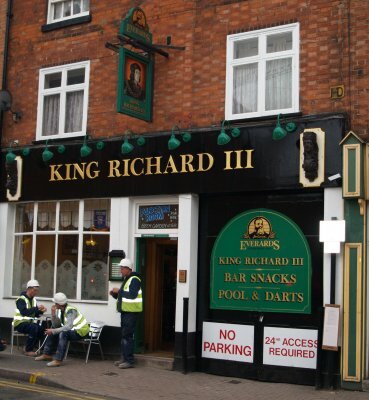 The medieval centre of the City of Leicester is contemporary with the demise of Richard III, so no surprise that a pub is named after him! However, he actually stayed at the Blue Boar before riding out to meet his fate at the battle of Bosworth Field in 1485!